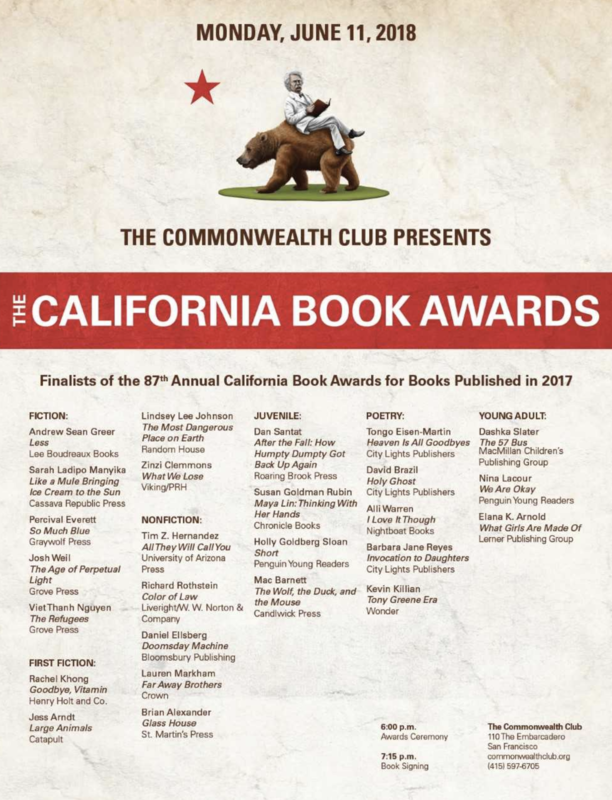 The 87th annual California Book Awards, which “recognizes the state’s best writers and illuminate the wealth and diversity of literature written in California,” announced this year’s finalists. The nominees include Rachel Khong‘s Goodbye, Vitamin, Viet Thanh Nguyen‘s The Refugees, and Zinzi Clemmons‘s What We Lose (here’s the full list). From our archives: The Millions’ interview with Khong. “I Have Inherited The Ancestral Home, But It Is Now A Burden Rather Than A Gift, Which Reminds Me Of Another Burden…The Institution Of Marriage” and every other Modernist novel ever written, via Mallory Ortberg of The Toast. Literary-minded t-shirt purveyor Kafkacotton has a new t-shirt out. This one is a clever nod to Kerouac’s On the Road.